LUXURY LIVING IN DESIRABLE EVERGREEN MEADOWS COMMUNITY! 4 Beds, 3.5 Baths. FR with gas fireplace. Country kitchen includes a double oven, dishwasher, refrigerator with water system (2017) and garbage disposal. Enjoy meals in the formal dining room with bay window. Cathedral ceilings are found in the foyer and master bedroom. Large soaker tub and double vanities in master bathroom. The finished LL is open and fully finished with full bathroom. The whole house has new paint and carpeting. Entertain guests on the 28~ rear deck. Attached 2 car garage and newer asphalt driveway (2017). Upgrades include: New furnace motor (2017), HVAC (2017), Washer and Dryer (2014). Amazing Location ~ minutes from the Dulles Toll Road and great Loudoun County Schools! SchoolsClick map icons below to view information for schools near 110 Dalhart Dr SE Leesburg, VA 20175. Home for sale at 110 Dalhart Dr Se Leesburg, VA 20175. Description: The home at 110 Dalhart Dr Se Leesburg, VA 20175 with the MLS Number VALO314924 is currently listed at $575,000 and has been on the Leesburg market for 76 days. 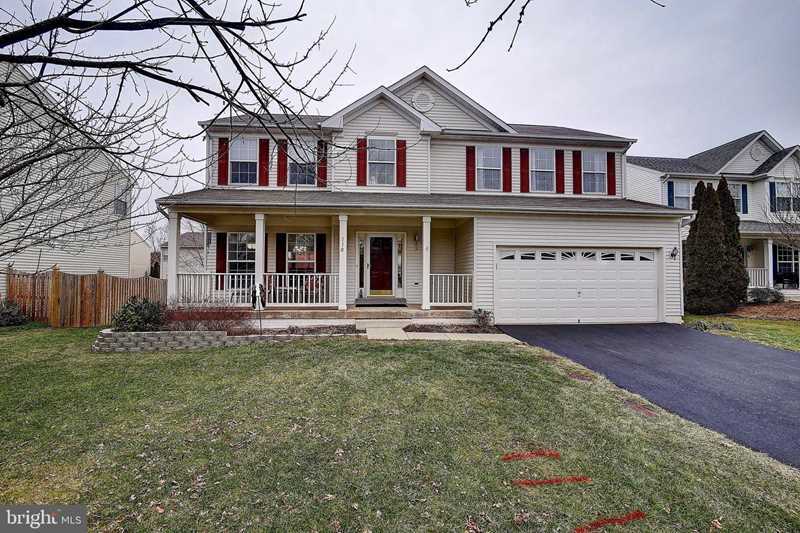 You are viewing the MLS property details of the home for sale at 110 Dalhart Dr Se Leesburg, VA 20175, which is located in the Stowers subdivision, includes 4 bedrooms and 4 bathrooms, and has approximately 3382 sq.ft. of living area.